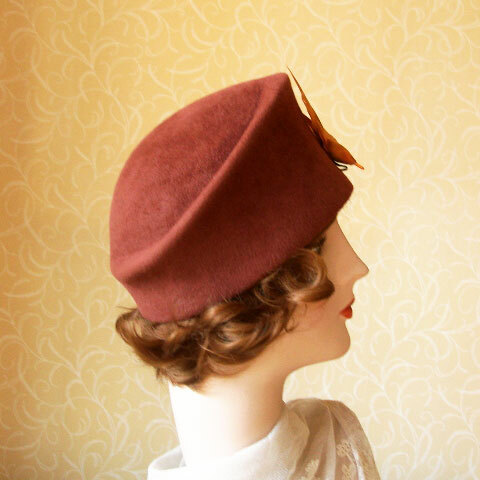 A charming hat in a French vintage velour felt. 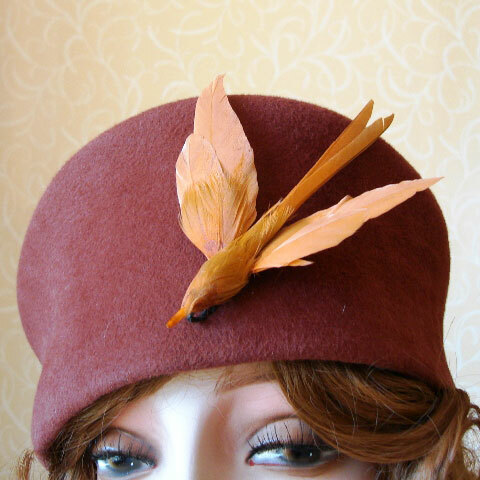 Simply embellished with a little vintage feather bird. 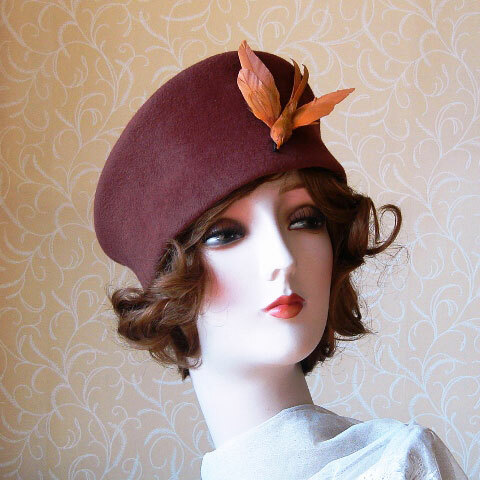 This hat is a little larger than usual, but due to the style, would suit quite a range of sizes. Please email to discuss size. 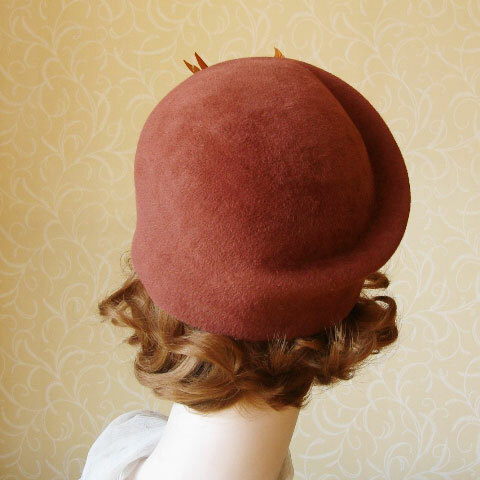 A fabulous shape!